A rare residential high-rise new condominium development near the rapidly-growing transit hub of Downsview Subway Station awaits you. Steps to the subway, shopping and 300 acres of parkland, this new condo ion North York is a hot one. Introducing Avro Condos, by Davpart. Occupancy for this ambitious project is scheduled for 2021. Situated at 10 De Boers Drive, just west of the Allen and Sheppard intersection, this development site is tucked away from the expressway on a quiet commercial street. 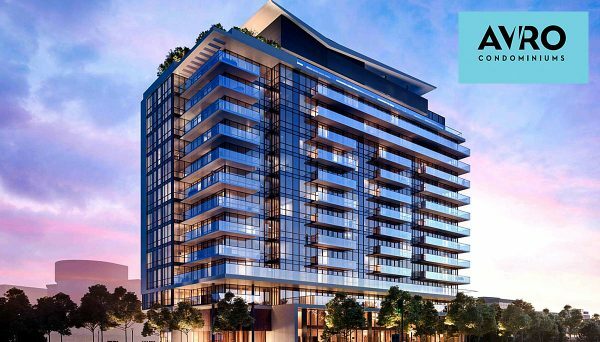 With prices starting from the high 300’s and renderings showing a contemporary, glass structure, this building will likely set the trend for other residential buildings in the area. Already a neighbourhood with a healthy employment sector, the new subway station in the works will only increase growth and intensification in this area, making it a great time to invest in real estate here. With a sleek, modern design, the building will bring a touch of sophistication to the location, complete with landscaped entry terraces. A unique feature here is the wing-shaped feature that tops the building, which pays homage to the Avro Jet, the building's namesake. A double-height lobby with a lounge welcomes you and makes a great spot to catch up with neighbours or guests. You'll find a fantastic selection of amenities here, including a sun deck, private cabanas, a party room with private dining access and both indoor and outdoor lounges. 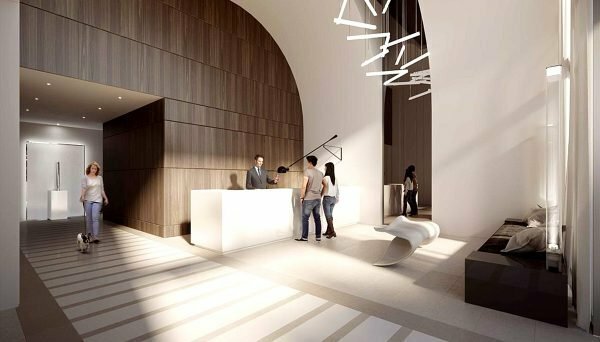 You can expect the latest in contemporary condominium finishes, including open-concept floor plans, wide-plank flooring designer appliances and sleek hardware. In the past few years, the area around Downsview Park – long underrated – has snagged the attention of investors, first-time buyers and developers alike. It’s no wonder, as this North York neighbourhood has so much to offer, while still being only a 20 minute drive from the heart of downtown Toronto. The gently winding De Boers Drive leads to a convenient shopping area, featuring almost every urban convenience you could need on a day-to-day basis, from Starbucks and Shoppers Drug Mart to major banks, lifestyle retailers and a wealth of restaurants. The highly-anticipated York-Spadina Subway Extension is scheduled to be up and running in 2018 and will not only be a major convenience for those who already live in the surrounding area, but will likely encourage further growth for this North York neighbourhood. The extension will continue all the way up to Vaughan, increasing transit options for those who commute into the city or to elsewhere in the GTA. The extension will include the brand-new Downsview Park subway station - which connects to both the TTC and the GO system - and features a light-filled design with plenty of public art incorporated. With easy access to both the 401 and Allen Expressway, transit options are great for drivers too. This new condo also has the benefit of being across the street from Downsview Park, North York’s largest public greenspace. With 300 acres of mature trees, sports fields, ponds, gardens and walking trails, it’s the perfect spot for a leisurely picnic and an impromptu soccer game, or a tranquil morning stroll as the sun rises over the North York skyline. The park is a huge attraction and features a local merchants’ market, music festivals, a wildlife center and top-notch recreation options like True North Climbing, Volleyball Canada, HoopDome and the Toronto School of Circus Arts. But if you’d rather spend your Saturday afternoon shopping than shooting goals, the newly-renovated Yorkdale Mall is a ten-minute subway ride away. With over 250 retailers, the mall is a hotspot for high-end brands like Holt Renfrew, Michael Kors and Bulgari, plus plenty of upscale eateries for you to replenish yourself after you’ve shopped your heart out. Besides being close to enviable transit, shopping and recreation, It is a great place to invest for its proximity to a high-density employment area. Despite hundreds of industrial plants and corporate offices in the area, the neighbourhood has a shortage of residential condominiums, meaning contemporary living space for those who want to be be near their place of work is limited. This could be a great advantage for the savvy investor. York University is a few minutes’ drive north as well, and a quick trip on the York University Rocket bus, which leaves from the subway station. 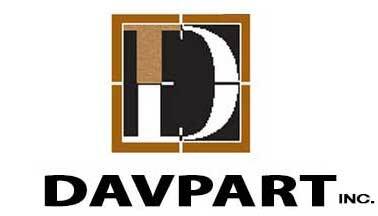 Davpart boasts an impressive portfolio of office, retail and residential properties throughout Ontario and the United States. They attribute their longevity and stability to timely maintenance, frequent, hands-on site visits and open communication with tenants and owners. With several robust developments around the GTA, they know the market well.